Chelsea Lion with all the Hoops! 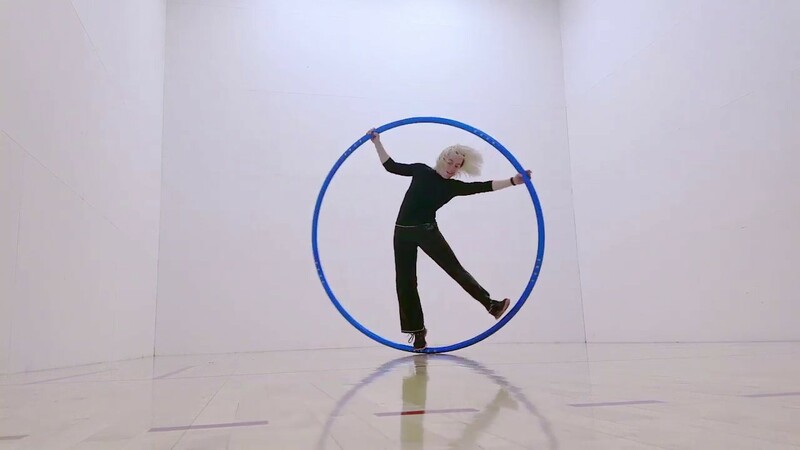 Chelsea becomes the incredible human coin in the gyroscopic acrobatic apparatus, the Cyr Wheel! This giant steel ring is manipulated only by shifting bodyweight to create momentum, and requires not just an enormous amount of strength, but also the finesse of a dancer to showcase its mesmerizing beauty. Audiences cannot peel their eyes away from the wonder of the wheel as they are hypnotized by its endless spinning! 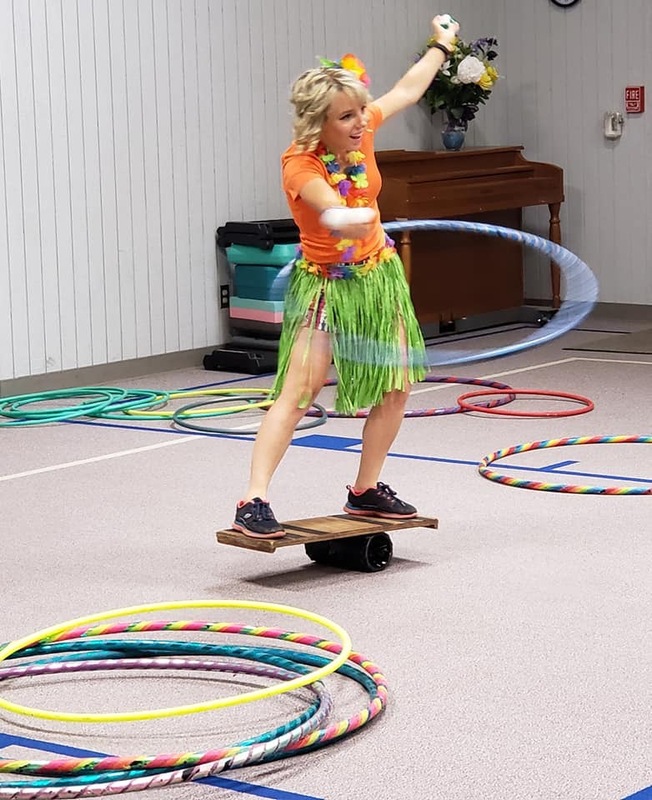 While the Cyr Wheel is her favorite apparatus, Chelsea is also proficient in juggling, unicycling, and especially hula hooping! Chelsea was so much fun and interactive at our event! I highly recommend her for anybody looking for a multi talented entertainer! Thank you so much for the fun memories!! I had a great time too! Thank you for having me! A Cyr Wheel performance is about 5 minutes long and is guaranteed to mesmerize any audience. An area of 15ft x 15ft is required for safety. Once the performance is finished, depending on the event, Chelsea will invite kids and people of all ages to try the Cyr Wheel for themselves, one at a time and with assistance from Chelsea. While not on stage, Chelsea provides engaging interactive entertainment with crowds. Juggling, hula hooping, and unicycling are a few examples of roaming activities, where everyone is invited to join the fun. To connect with people and create memorable experiences through the wonder of circus art is the highest priority. From corporate events to kids birthday parties, everyone leaves with a smile! In the spring of 2015, Chelsea Ryan decided to teach herself to ride a unicycle. With the enthusiasm and determination of a child who still believes nothing is impossible, she achieved this goal in a few short weeks. Little did she know, this endeavor was a gateway into another world, the magical world of circus art. Since then, Chelsea has become skilled in many circus disciplines that require balance, strength, and coordination. She is now proficient in unicycling, stilts, juggling, rola bola, and hoops, and can even perform combinations of many of these at once. However, her main passions and best skills are the Hoops and the Cyr Wheel. Chelsea is not only the first Cyr Wheel artist from Oklahoma, but also the 2018 USA Wheel Gymanastics National Champion for Women in Cyr Wheel, after only 10 months of training. 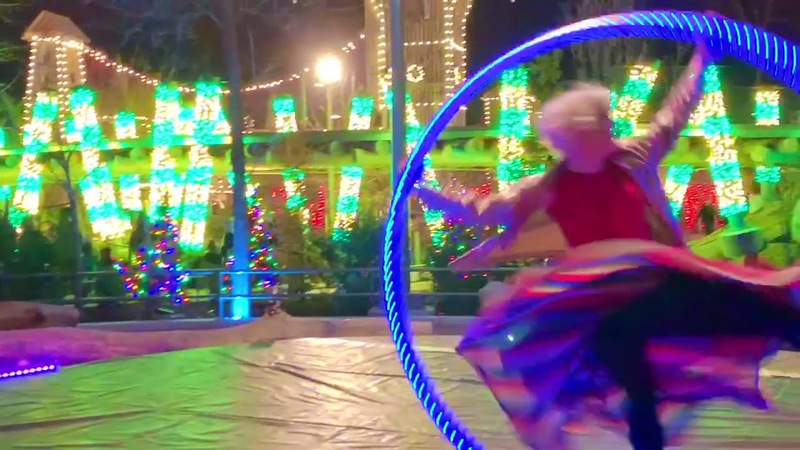 As of 2019, her business, Hooplahoma, consists of interactive circus play and performances at a variety of events in and around Oklahoma. 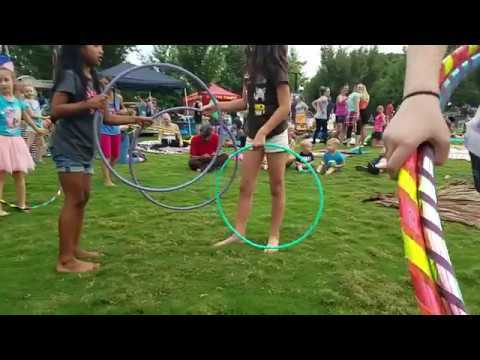 Hooplahoma has been a part of festivals, private parties, concerts, fundraising events, and holiday celebrations. When she isn’t performing or working an event, Chelsea teaches Hoop and Juggling workshops around Oklahoma. She also enjoys playing the ukulele, playing music together with her fiddle player boyfriend who is in a bluegrass band. Chelsea loves to sing and has recently started performing more with her ukulele. While she has found much joy in becoming a performer in recent years, working with kids and teaching has always been her true love. Her mission is to spread the joy of learning through circus arts, and to prove that truly anything is possible. For a Cyr Wheel performance, a smooth, level surface is required. An area of 15ft x 15ft is the minimum for safety. 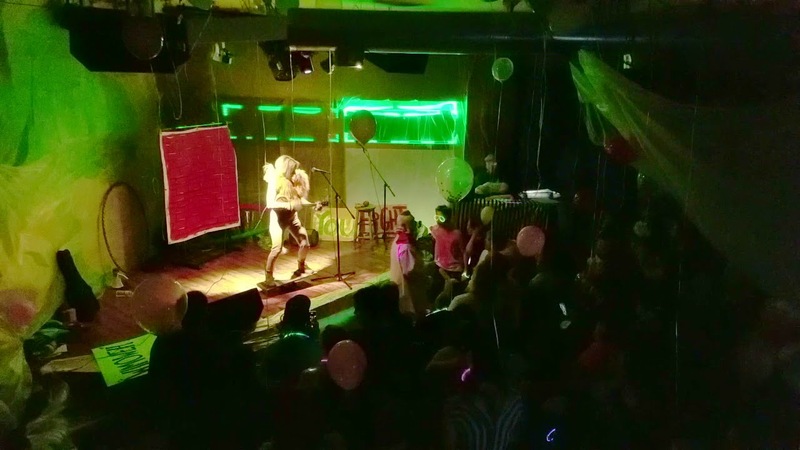 If needed, Chelsea has access to a portable dance floor for performances for an additional fee. The dance floor is for flat, level surfaces, that are too abrasive for the wheel to spin on, e.g. pavement. Hard wood or marble flooring is ideal, though polished concrete and linoleum will work as well. The wheel has a PVC cover and does not cause any damage to the floor.